Photo courtesy of Andrew Gilliland. 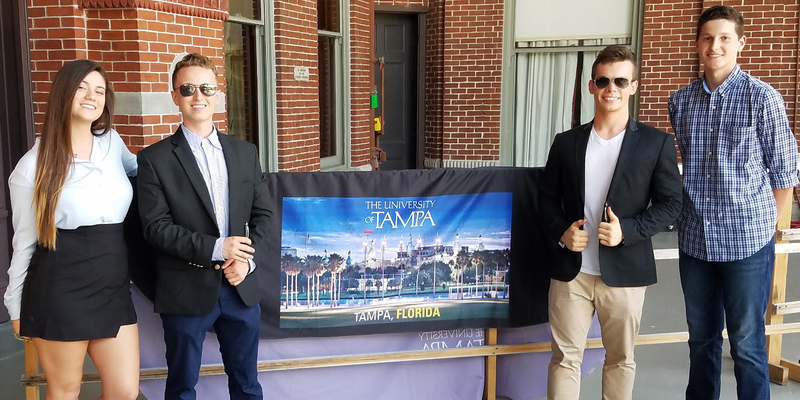 After monitoring the video surveillance market for several months, junior business information technology major Andrew Gilliland saw a gap in the market in the summer of 2016. He decided to fill it while working as an RA in the Boathouse, a living and learning entrepreneurship community, Gilliland founded iSpyPens, LLC. The iSpyPen itself is an ink pen which comes with a high definition (HD) camera which can take pictures and record video and has a SanDisk memory card inside of it. Not only does the pen have the capability to capture photos and videos, but it can also serve as storage like a flash drive. Nina Sennott, a sophomore international business major and the customer experience manager for iSpyPens said the pens were created to benefit people. The pens come in two different types, iSpyPen Plus which starts at $24.95 and the iSpyPen Pro which starts at $49.95. The iSpyPen Plus has a 1280p video recording format and has 30-40 minutes worth of video per a rechargeable lithium-ion battery. The iSpyPen Pro, on the other hand, records video in 1080p widescreen format, can record audio only in WAV format 168 minutes per GB, has 40-60 minutes of video battery life and 10 hours of audio-only battery life. While working in The Boathouse and utilizing the entrepreneurship program, Gilliland “leveraged tools that were already available” to him to create iSpyPens. Since The Boathouse is an entrepreneurship-centered living and learning community, Gilliland served as an RA there for the 2016-2017 school year. His role gave him the opportunity to share his experiences with residents, according to Gilliland. Gilliland’s vision for iSpyPens came to fruition with the help of UT’s entrepreneurship program and the John P. Lowth Entrepreneurship Center which allowed him to tap into resources which otherwise weren’t available. iSpyPens is currently making over $60,000 in revenue with over 2,000 sales, and Gilliland and his team plan to keep up the work, continuing to grow and help people. Leah Foreman can be reached at leah.foreman@theminaretonline.com.